It is with a slight sense of sadness that I must make the following announcement. For a number of reasons, I must announce my (sort of) retirement from Internet wrestling journalism. However, don't worry! I'm not going away entirely! Far from it! In recent months, things have become rather difficult for me writing wise. As I previously stated, writing about the American wrestling industry when you are an ocean away is not the easiest of past-times, and ever since the World Wrestling Federation gained a virtual monopoly on the national market, things have become a little more difficult. I never thought I would say this, but I do miss World Championship Wrestling, and I definitely miss Extreme Championship Wrestling. Since these two entities ceased to be, I have very often found it difficult to find inspiration. An example of this is the fact that in the past two months, I think I've only written two columns on American wrestling. Without any competition, the WWF seems to have become a little stale. They have no competition, nothing to measure themselves against. No longer will there be someone from Titan Towers watching Monday Nitro and thinking "hell! If they've done that, then we've got to do something better!" Portions of the WWF product have shown improvement in recent weeks, but for me, it is still somewhat lacking, and it doesn't inspire me enough to sit in front of my computer and to tell you exactly what I think. Something else that doesn't help is the apparent apathy British television companies and some mainstream wrestling websites have towards the smaller, independent promotions. I would love it if some obscure, cable or satellite television station here in Britain would suddenly decide to seek out an indy wrestling show from the US, even if they do put it on at three in the morning. Yet this isn't likely to happen. The WWF apparently appeals to all (unless you're the boss of Channel 4 that is), and no one is willing to take a gamble and give the majority of British wrestling fans what they really want, an alternative from the US wrestling scene. And this is why I am throwing in the towel in this aspect of my writing career. The US wrestling scene, dominated by the WWF, just doesn't inspire me any more. But it's not all doom and gloom. One of the reasons I am giving up on covering the US wrestling scene is my good fortune with regards the British wrestling scene, a market which seems to be expanding all the time. On Saturday, December 15th, I met with Ricky and Julia Knight, the owners of the Norwich based World Association of Wrestling. Those of you who have read my columns in the past six or seven months will know that I have taken great interest in my local promotion. I enjoyed meeting and talking to Ricky and Julia. They are genuinely nice people, and I admit perhaps I was wrong about them in the past. We exchanged views, talked about the British wrestling industry, and the possible future direction of WAW. But to cut a long story short, I now work for WAW, as their official Internet Reporter. 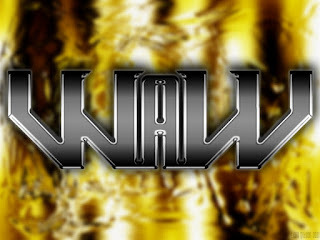 My previously unofficial WAW website (http://click.to/waw) is not the official home of WAW on the Internet. My job description is this - should my day job allow, I will be travelling with the WAW stars and crews to their shows, reporting on the shows, and gathering news, gossip and interviews for the website. As you can imagine, this would put great demands on my time. Much as I would love to work for WAW full-time, I can't. I would still have to hold down my day job, which means something would have to give, something would have to fall by the wayside. So, as you read the final few paragraphs of the last Two Sheds Review (for a while), I would just like to do the usual thing, and thank a few people. To all of the editors I have written for in the past, Adam Honey, Jack Hensley, Bill Taylor, Tony G., a big thank you. But an extra big thank you to current Wrestling Times Today editor Michael Van Der Hearst, who, in July 2000, I approached about writing my first Internet column in his e-zine, The Wrasslin' Analysis. Michael took the chance on an ageing hack who wasn't getting anywhere in his writing career. The rest, as they say, is history. To my fellow writers, David Walsh, Graysox, The Nit, countless others, but especially to SamJerry, who were always kind in offering me feedback, and always bold enough to tell me where I messed up. To all the readers of my e-zine, The Two Sheds Chronicles. TSC is currently on a hiatus of sorts. Rather than see the thing just die a quick death, I am looking for a new editor. If any of you are interested, you know where to call! But most of all, to Ricky & Julia Knight, for once again taking the chance on an ageing hack, for showing faith in him. Some have said for ages that WAW should give me a job! Guess I've got something to prove now! In conclusion, I would like to think that perhaps all of the editors I write for would allow me to contribute a guest column once in a while. Perhaps some of you will give me a job as your WAW reporter. And so I must now put The Two Sheds Review at the back of the cupboard, bringing it out once in a while to offer my views on the US wrestling world, while also reporting on and working for my local wrestling promotion. Is this the end of an era, or the beginning of a new one? Only time will tell. Until then, don't forget to keep an eye on my WAW website (http://clik.to/waw). Perhaps you'll even subscribe to my official WAW newsletter (wawwrestling-subscribe@topica.com). With a new monthly venue just announced in Norwich, and stacks of dates in February and March, big things are being planned for the World Association of Wrestling, and yours truly will be there to cover them.